Hiawatha Music Co-op announces its February Hiawatha on TAAP concert! 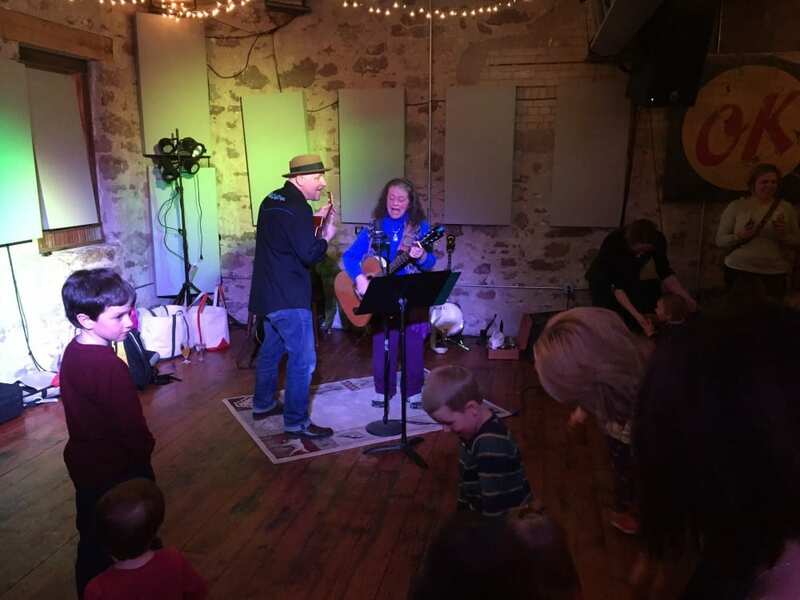 The second of the series will be a music and dance party for children featuring Marquette’s favorite singer songwriters, Jeff Krebs, aka “Papa Crow” and Corinne Rockow. 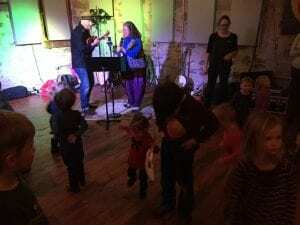 This event will be a “Music and Dance Party” for children and include interactive music, dance and homemade instruments. 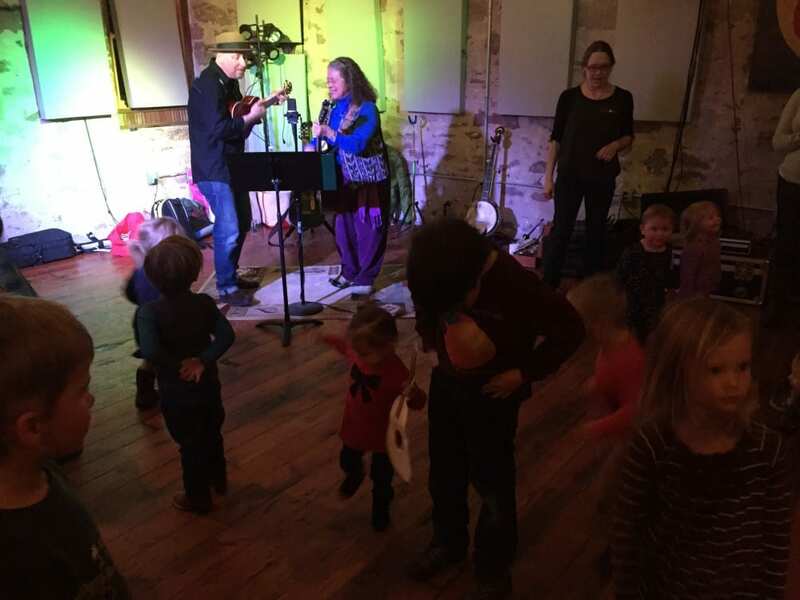 Children will enjoy complimentary snacks, a craft corner for making their own instruments, sing songs with Papa Crow and Corinne and learn some fun and silly dances. Northern Michigan singer/songwriter Jeff Krebs was drawn to music at an early age, starting at age four on the ukulele and picking up guitar a few years later. By his teens he was writings songs and performing, going on to travel the country and record with various bands. Jeff performed in clubs, busked streets and subway stations, played flea markets, Irish pubs, biker bars and street fairs. He released a few solo albums along the way, and after years of roaming settled back in his home area of Michigan’s Upper Peninsula. Jeff discovered the diverse, engaging world of kids and family music about the time his first son was born. Jeff was soon writing kids songs and had plans for a family music album, performing for kids at churches, libraries, daycares, schools, and festivals, and calling himself Papa Crow. 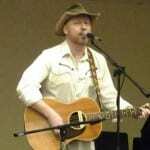 Papa Crow released “Things That Roar” in 2011, an album of fourteen original kids and family songs. The process was homemade: Jeff recorded himself on the computer, using minimal equipment set up in a spare room of his house. Friends with various talents (percussion, voice, slide guitar, etc.) were invited over late at night when the boys were asleep to add tracks to Jeff’s songs. In all, fifteen friends and family members played on the album including Jeff’s sons, niece, nephew and brother-in-law. Since its release, “Things That Roar” has been very well received in the family music world, earning positive reviews and getting airplay on many children’s music programs throughout the US. The album was cited as one of the best kids music albums of the year by Time Out New York Magazine, The Fids & Kamily Music Awards, Zooglobble, Out With The Kids, and other media outlets, going on to be awarded a Parents’ Choice Silver Honor.The follow-up to “Things That Roar” is “Full Moon, Full Moon”. This woodsy song cycle loosely follows a day in the life of a kid in the outdoors and is chock-full of fireflies, campfires, heartbeats, full moons and a billion stars. Papa Crow has also released two EPs: What Was That Sound? and Their Heads are Green and Their Hands are Blue. 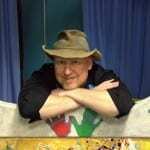 Papa Crow is also a ukulele fanatic and has conducted many kids (and all-ages) workshops on the uke. He loves to spread the good vibes of music and hopes to meet you down the road. 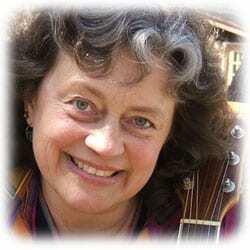 Corinne Rockow is an exciting and enthusiastic troubadour of music. Corinne’s philosophy about being a musician and storyteller: the word “troubadour” has a root that means “finder of treasure”, and this is the essence of what she strives to share as she travels. It helps us all remember who we are, where we come from, and offers a sense of direction and hope for the future! Corinne has performed in schools, nature centers, libraries, festivals, conferences and coffeehouses across the Great Lakes region since 1984, accompanied by her ‘extended family’ of instruments including the guitar, banjo, bones, dulcimers, flutes, drums, accordion, recycled instruments or whatever makes an interesting sound! She is trained music therapist and K-8 educator working in southern Wisconsin and local schools. She directed the Big Bay Community Chorus and co-founded the Marquette children’s chorus, Superior Harmony. Additionally, since 1999, Corinne has been teaching Arts Integration courses for the Education Department at Northern Michigan University, the University of Wisconsin School of Arts in Rhinelander since 1988 and is a touring Artist-in-Residence for the Wolf Trap Institute in Washington D. C. Corinne also enjoyed a tour of Michigan State Parks for the Michigan Council’s Summer Culture Tour with a lively program centered around the history and lore of the Finnish Sauna. Her fascination with the natural world around us is directly reflected in her programs and also resulted in the establishment of a nature center in Marquette, called Moosewood Nature Center.